Teak furniture is attractive for outdoor patio and pool areas and is becoming popular because of its durability and appearance. Teak is a tropical hardwood that comes in a golden brown shade when new and fades to silver-gray as it ages or is exposed to the outdoors. Clean your teak wood using a homemade cleaner of soap and water at a fraction of the cost of commercial products. Teak furniture, when new, will have a sheen from the oil in the wood. As the furniture ages and is exposed to weather, the wood will turn from a golden brown shade to a gray. To clean your teak furniture, mix 1 cup of liquid laundry detergent in 1 gallon of water and wipe with a sponge or scrub gently with a soft bristle brush. 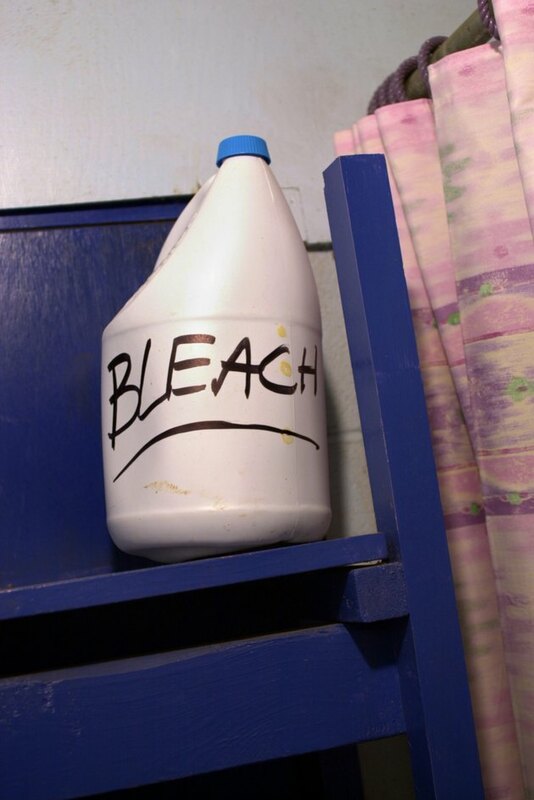 If the wood has mold, add 1 cup of bleach to the water, allow to sit on the mold for a few seconds and brush gently. After scrubbing the wood, rinse thoroughly and allow wood to dry. To preserve the wood, apply a thin coat of teak oil to bring out the luster and grain. If using the furniture around your pool, keep the furniture dry by using a cover or cushions to protect from water damage. Oil-based foods such as ketchup and mayonnaise will stain teak, so if using a teak table, use a tablecloth to protect it from food stains. Never use steel wool or scouring pads when cleaning teak, as it will scratch the finish and can leave residue on the wood. If your teak becomes discolored, restore it to its natural luster by gently sanding and adding an application of teak oil. When finished sanding, wash off all residue with a solution of 1 gallon of water and 1 cup of liquid laundry detergent. Rinse and allow to dry completely, then apply a coating of teak oil available at any hardware store. Wipe off any excess oil and allow to dry completely before placing anything on the surface.